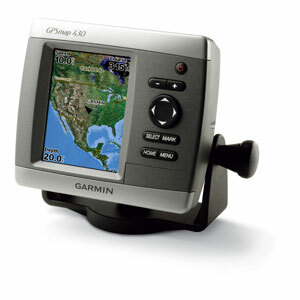 This sleek, space-saving chartplotter is your companion for freshwater fishing and boating. 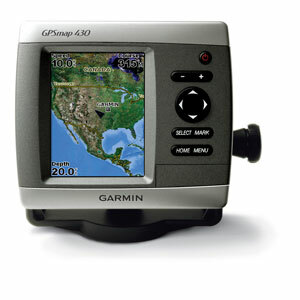 The GPSMAP 430 features preloaded detailed maps for U.S. inland lakes as well as an ultra-bright 4” QVGA display; built-in, satellite-enhanced worldwide basemap and simplified user operation. The 430 comes preloaded with detailed maps for U.S. inland lakes, including 5300 lakes with shoreline, depth contours, navaids and more. Over 300 of these lakes are enhanced with extra Inland Lakes Vision features (see below). 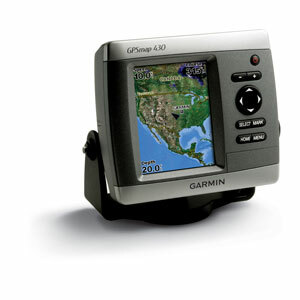 For areas outside the U.S., the 430 has a worldwide basemap with satellite images in place of more traditional maps, and its SD™ card slot makes it easy to add additional maps without connecting to a computer. With fewer keys and a simple, intuitive interface, the 430 makes navigating your way through the water easy. The 430 boasts advanced Inland Lakes Vision features for 300 of the most popular lakes. Higher-resolution satellite images help you orient yourself in unfamiliar areas. Auto guidance technology searches through map data to suggest the best passage. The sounder version, GPSMAP 430s, comes with a dual beam transducer that clearly paints depth contours, fish targets and structure. It’s also CANet™ compatible, so you can share sounder data with another chartplotter on your boat. The weather-enabled versions, GPSMAP 430x and 430sx, display XM satellite weather data, including NEXRAD radar, with the GXM 31 antenna. With the optional BlueChart g2 Vision SD card, you can add a whole new dimension of exceptional features to your chartplotter for offshore use, including advanced 3-D perspective, Auto guidance, high-resolution satellite images, detailed fishing charts and more. Learn more about BlueChart g2 Vision. For a low cost option try BlueChart g2.